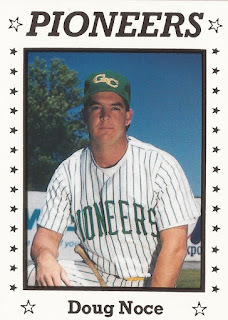 Doug Noce's Cal Poly San Luis Obispo Mustangs were tied late in the 1989 Division II College World Series championship game and Noce was about to help undo that tie. With Noce in scoring position in the eighth inning, teammate Bill Daly knocked him in with a single. It was a game the Mustangs would go on to win 9-5, San Luis Obispo winning its first championship. And Noce helped them get there, too. In one lead-up game, Noce knocked in three, while picking up four hits. From San Luis Obispo, Noce turned pro. But he couldn't keep up his college success. His professional career lasted just two seasons. 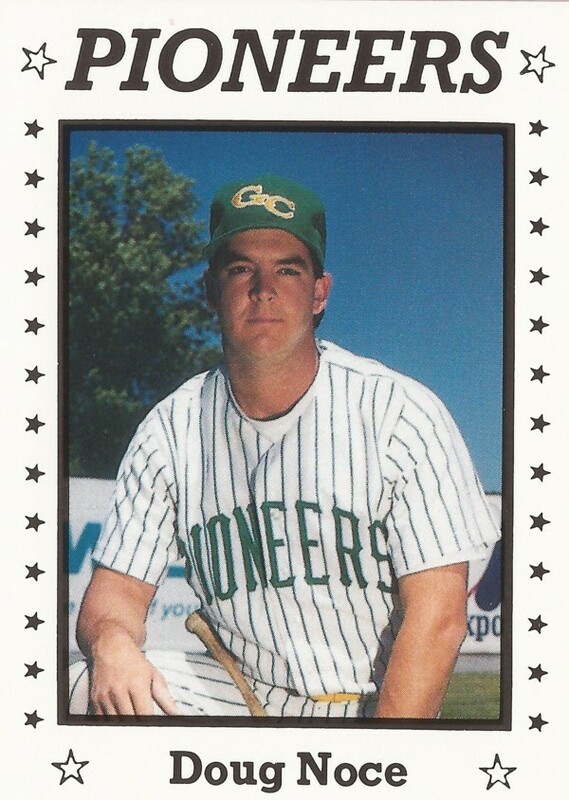 Noce's professional career began in 1990, taken by the Expos in the 41st round of the draft, out of San Luis Obispo. At San Luis Obispo, Noce kept his 1990 average above .400 into early May, hitting .446 then. He then helped that average with an early May bases-clearing triple. With the Expos, Noce started at rookie Gate City. There, he hit .251 over 56 games. He knocked in 16. For 1991, Noce got into 47 games over three levels. He even got nine games at AAA Indianapolis. But he spent most of that time, 29 games, at single-A Sumter. At Sumter, Noce knocked in three on a triple and a sacrifice fly in an early June game. But over the three levels, he hit just .128. It was his final year as a pro.